...and the elusive Dior Lemon Balm! I've wanted this for a few weeks now but of course it was sold out everywhere and selling for almost twice the retail on ebay. Luckily I won it for just a little more than retail! I am super excited to try Lemon Balm of course, and Paradoxal is my first Chanel polish. 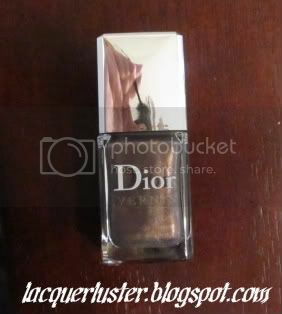 Honestly, I don't necessarily think that high-end polishes are better than drugstore brands and I am often completely satisfied with cheaper dupes, but both the Dior colors and the Chanel are quite unique; I was unable to find anything just like them. Okay, now I'm really going to try not to buy anymore until the next RBL sale, which I suspect is in December. It's only four months, right? ?